While I've been meaning to see this film for years, (I think the trailer was on the Reservoir Dogs VHS that I wore out before I bought it on DVD) it was one of probably hundreds of films that I put on my back burner. So when I recently saw it was on a pay channel I jumped on it, and am very glad that I did finally see this gem. 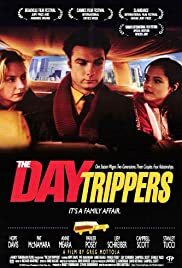 The Daytrippers involves a woman (Davis) whose resolve that she is happily married is tested when she finds an excerpt from a love poem that fell from her husband's (Tucci) clothes. She elects to go to her mother (Meara) for advice and ends up going on a day trip to NYC to ask her husband about it. Along for the ride is her father, (McNamara) her sister, (Posey) and her sister's boyfriend (Schrieber). Of course, if they were able to simply confront her husband it would be easy; unfortunately he is no where to be found, so they willingly engage in amateur sleuthing to put together the story while they drive around the city looking for him. The plot is a fairly simple one, but the character development is the true star of the film. While Parker Posey is known best for playing `quirky yet intelligent' characters, her role seems more of a natural addition in this film rather than a run-of-the-mill portrayal for her. Meara is nearly maddening as a meddling mother, and McNamara, a well established character actor is heartbreakingly sweet as the weary father. Davis and Tucci are both fantastic as usual, and while Tucci's role is a small one, he exhibits his usual passion that makes him an exciting actor. Davis gives her character a palpable fragility that just barely makes room for the modicum of strength that is holding her together. In my opinion, the true breakout star of the film is Schrieber as Carl Petrovic, `the boyfriend'. His character has so many facets to his personality and becomes such a complex study that is so rare in a supporting character. And Schrieber's portrayal is brilliant and both comedic and heart-breaking in it's subtle profundity. 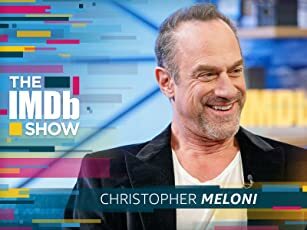 Schreiber has been on my radar since I saw him in RKO 281 brilliantly portraying one of my personal heroes, Orson Welles, and after viewing this performance I plan to seek out more of his work. The Daytrippers has been an independent film darling for years now and I can see why. It is an intelligent, emotional and well-written and acted film that will hold an appeal for most who take the time to view it.